On top of those, the Summer Meeting of the US bishops begins in Atlanta sometime around 10 Eastern this morning (livestream), with an extended discussion on religious liberty, and a report on the tenth anniversary of the Dallas Charter topping the agenda. After a full Opening Day in front of the cameras, the plenary will continue in public session through tomorrow noon. 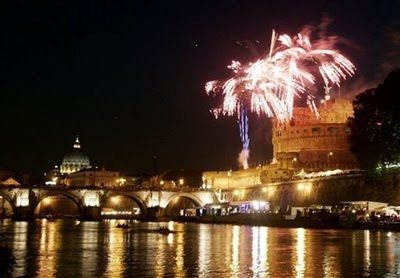 And, well, there's more still to come beyond -- as veterans 'round these parts know well, things tend to ramp up every year at this time as the Vatican's work-year nears its close on June 30th. Sure, the rest might be heady, but there goes the toughest part of the job.... Not to mention that it's either the above or Lights Out. Literally. As ever, gang, it's your call... That said, off to the races.